When my friend Lee mentioned to me that Sharon Jones and The Dap-Kings were coming to Montreal, I could tell he was elated. “Patrick, it’s the best concert I ever saw in my life.” That is quite a bold statement. “Imagine a female version of James Brown”, he added. I had never seen her in concert before and didn’t know much about her, to be honest. Without being skeptical, I took his comment with a grain of salt. But I kept an open mind. Lee is not the type to exaggerate. Well… I have to say, Lee was dead on! A Sharon Jones song is sweet soul music at it’s best. And she did remind me a bit of James Brown. But not the James Brown I saw the last time he came to town. I’m not talking about a cheap Vegas type revue where JB was a sad caricature of himself. It wasn’t like the tacky, tourist trap acts I saw on Bourbon Street in New Orleans. Hell no! She had class and the band is the real deal! Two words: Old School. No wonder the concert was sold out. When you have two talented back-up singers, a complete horn section, two guitarists, a bass player, a drum player and a cat playing the congas, you can tell they are serious about their craft. They also looked the part. You couldn’t fault them with their cool looking suits and slim ties. Let’s not forget about the queen of soul herself, Ms. Jones. What a powerful voice! She blew my mind! And she got to do it up close and personal too! I don’t know what I did to attract her attention but when she extended her hand to invite me on stage, I didn’t hesitate one second. When I left my flat a few hours earlier, I wouldn’t have expected to be serenaded by her on stage. I literally had chills running up and down my spine. She had me under her spell. The rest of the show was obviously going to be hard to beat. Not surprisingly, the rest of the set was all very tight and solid. I still have a hard time believing that there’s an incredible contemporary soul act, with all original material, touring these days. For once I am content not to be living in 1964. I can see why they have such a loyal following. After the concert, I made sure to visit the merchandise table. Lee had warned me that Daptone Records, the band’s independent record label, had most of their catalog on vinyl there. How many soul record labels do you know that still come out with 45s these days? Let me introduce you to my dream bike, this Lambretta TV175 series 3. I love the story behind this scooter and for a blogger like me, a good story always helps. I have just recently acquired it. Technically, I'm the fourth owner but in reality, I'll be the second one to actually have a chance to ride it. And these days, to actually know the provenance of a bike in such good condition is getting pretty rare. First, I'm just glad I didn't have to deal with a Vietnamese death trap. Cheap Asian restorations have flooded the market in the last few years and I've heard of many horror stories. A lot of the scooter shops in North America won't even come close to one, afraid that they might catch something. My beloved Lambretta has quite a different background. 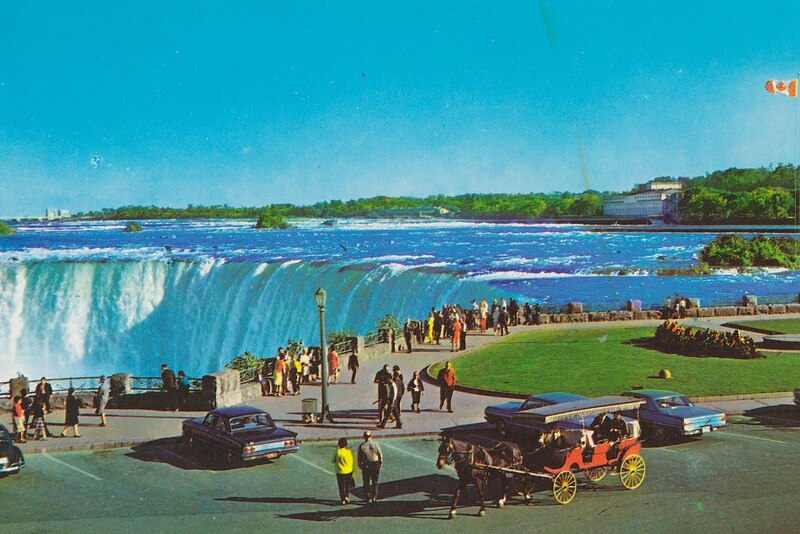 A young, recently married couple bought it new in the sixties with a simple idea in mind; use it as transportation to go on their honeymoon to Niagara Falls. 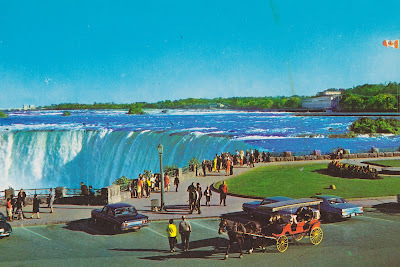 For those who are not familiar with the honeymoon capital of the Great White North, picture a kitsch Las Vegas but with a huge waterfall. 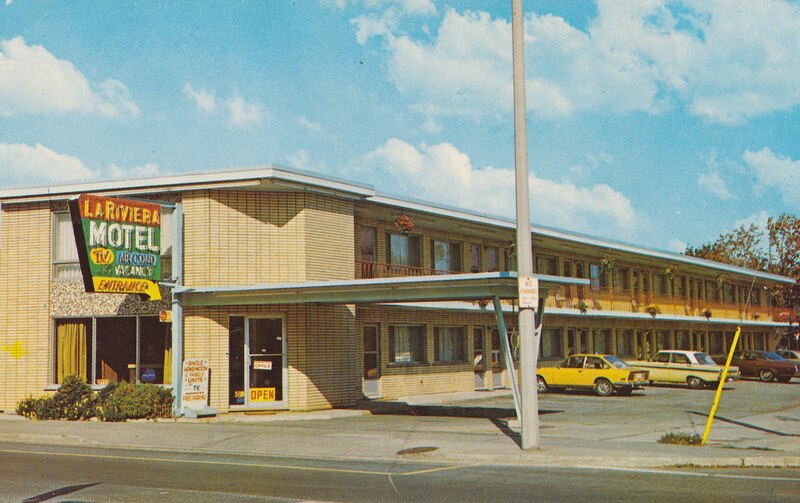 In the sixties, it was the place to be on your wedding night. It's quite a romantic beginning, don't you think? According to the daughter who sold the scooter for her parents, the two-wheeler was stored after the trip and hibernated in a cozy garage for decades, taken out only occasionally. This would explain the absence of rust, dings and the very low mileage. The scooter then entered its dark phase. Thankfully it wasn't for long. The daughter eventually sold the TV175 to an old Italian fascist who revered Mussolini and Hitler. My buddy who bought the scooter from him recalled seeing a picture of Hitler and his wife on the living room mantle. Creeped out by the hate speech and incoherent ramblings of a racist old man, he paid him and bolted out of the place in 4th gear. More proof of the old geezer's stupidity is that he spray painted the whole scooter with a rattle can. Don't get me wrong, I've seen some amazing things done with spray paint but this was simply a lazy, bodged job. The scooter looked like a big blue-grey orange peal. He didn't even bother taking the badges off! He even painted over the horncast grill! You can see evidence everywhere of where tape was applied. From what I can tell from the gentle wet sand I did on the scooter, the original scooter use to be white. Can you imagine? I could have had a stock TV175! My friend kept it in his garage for a year and eventually passed it on to me. I did lose the original front disc brake in the transaction. He used it on his stunning SX200. Quite the dream bike in his own right! Join the Parka Avenue Mod Revolution! Disclaimer: The author of this quirky, self-aggrandizing photo essay does not actually believe that he's god's gift to women. Those who know him personally will acknowledge that he will be the first to poke fun at himself. So enjoy and have fun. The pictures were taken from a 1969 French magazine called Top Secret. It's been at least 10 years since my last record convention. A few reasons explain my absence. First of all, I just recently renewed my love for vinyl. CDs were simply more practical and convenient. And since I got my first Ipod and discovered the wonderful world of podcasts, even my CD collection has been neglected. Another reason why I have stayed clear of record conventions is it's ridiculous prices. I don't really care about condition, rare labels, early pressings, unusual covers or scarce imports. I just want good music. Although it requires a lot more patience, I would rather search through flea market bins and thrift store crates. The thrill of the hunt is more intense and the prices are within reach. But lately I've been catching myself dropping the needle on a regular basis. Nothing beats the ritual of dusting off an old LP, hearing that crackling noise, sitting down and taking the time to listen to that sweet soul music while contemplating the record sleeve. So I decided to attend the 16th Annual Record and CD Convention of Montreal and see if I could seek out a gem or two. Wow! The church basement where the convention was held was packed! Wax fever has really hit the city! Two dozen stalls, from Quebec and Ontario, offered a nice selection of LPs, 45s and music memorabilia. My favorite vender had to be a guy from Sherbrooke called Michel. He took the time to go through his collection of 45 rpm and pick out all the good stuff. He knew right away what I was looking for from the pins I had on my Harrington. And his selection was spot on. But the funniest part was when we started talking about local bands. I was telling him about a friend who was the drummer of a soul band called The Outfit that I had seen the night before (see the April 28th post). He turned around and pulled out an LP of an obscure garage band called Les Macchabées with my friend Eric and him on the cover. My jaw dropped! I added it to my growing pile and paid him. He really made me a great deal. The Jam's All Mod Cons in great condition at 3$, I just couldn't say no. I was also looking forward to seeing my friend Ben Shulman who, at 18, knows more about music then I ever will. I can always count on his recommendations and that day was no exception. The find of the day had to be a fine copy of an album from The Contours. Cool Jerk is one of my all time favorites and at 8$, I couldn't let it slip away. It was worth buying it just for the very Mod album cover. Soul was the order of the day. Jackie Lee is not a singer I'm very familiar with, but I don't regret buying The Duck LP. Back in the sixties, you had a new dance coming out every week. So I guess that after learning how to do the Cool Jerk, The Duck had to be the next on your list. Another Mod "must have" was a bootleg copy of a DVD from The Who with all of their early appearances on Ready Steady Go, Shindig! and Top of the Pops. As for the 45s that have been on a regular rotation on my turntable since the convention, two are worth mentioning. Michel suggested I buy a very cool version of Fever by The McCoys. Worth the dollar? Hell Yeah! Boogaloo Down Broadway by The Fantastic Johnny C was one more soul 45 that was well worth the money. All in all I think it was a successful hunt. If you want to hear a few of those finger snapping tunes, follow these links to a couple of videos I took of the records playing. It might not be the best sound quality but it might get those feet tapping. Enjoy! According to Apartment Therapy, a great American website dedicated to home decor and design, my pad was ranked #5 in a post entitled 10 Great Canadian Small Spaces. How cool is that? My loft might not be a strict Mod haven but I'm still honored to be mentioned on their site. My home certainly doesn't please everybody but it always leaves an impression. Most of all, it makes people smile and laugh. I never pretended to be a design guru but I'm always flattered when guests leave inspired. Speaking of inspiration, I highly recommend visiting the website for all your decorating needs. You get to see ideas from real people in real homes, unlike magazine photos that are staged by professional designers. An essential part of their site are the Apartment Therapy Cures. This is when people exchange and share ideas on how to improve, organize and embellish their space in just 8 weeks. They are presently in full Spring Cure mode. I'm sort of in a Spring Cure state myself. I recently decided it was time to rethink my whole media center. When I bought my loft 2 years ago, I came up with a Tetris-like entertainment center made of cement blocks and black melamine shelves. I liked the fact that I could insert CDs in the holes of the blocks. Plus, concrete blocks are cheap and fit well in an old converted factory. I was proud of the results but it was time for a more mature look. I was ready to invest in a mid-century modern teak credenza. I have a thing for Scandinavian design. I visited a great neighborhood store called Showroom. 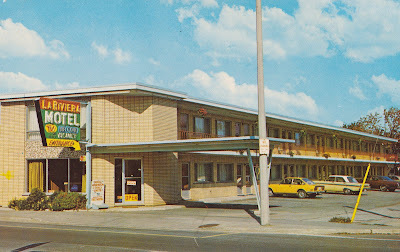 They specialize in mid-century modern furniture. They offer a wide selection of vintage pieces at fair and competitive prices. Every once in a while, you'll come across an original designer piece for sale. Eames, Panton, Wegner, Jacobsen, Breuer, Saarinen are just a few of the names you might find stamped on chairs and tables. I ended up leaving with a remarkable Bramin credenza signed by H W Klein. I appreciate the fact that it's longer than your standard credenza at a little over 7ft. It also has 2 pairs of sturdy legs situated at each end. This liberates space for additional storage under it. Most furniture that size have central legs to support the weight. Another interesting feature is that it has a nice finished solid teak back. You don't usually see that level of detail on your common buffet. That means I could always use it as a room divider. To complete the look, I found 3 V-shape teak shelves in a local antique store on Amherst Street. They are perfect for holding small books or CDs. I thought they were a unique alternative to your ordinary straight shelf. And finally, I bought this fine Scandinavian shelf system from a German seller on eBay. It’s just what I needed to display small objects. They are supposed to be hung like a picture frame but I found it to be very unstable, especially on a brick wall. So I ended up substituting the rope for a pair of small brackets. I’m quite satisfied with the final result. I believe that my two main goals were achieved. One, I have attained a more “adult” and polished look. Two, I added some much needed storage. Have you embarked in a Spring Cure of your own? Share your ideas! I would love to hear about them. The good thing about being a blogger and not a bona fide journalist is that you get to interview only people you really like. And I don't just like Chris Murray, ska musician extraordinaire, I also admire him. So when I learned that he was making his second stop of the year in Montreal, I jumped on the occasion to interview him. What you sense from spending just over half an hour with him is how he respects the people that came before him. You can tell by his music and his message that it's imperative for him to give homage to what he calls "the roots". In fact, he made a point to call his music "roots ska" instead of "traditional ska". The difference being that traditional ska was a term in vogue a while back, associated with groups that dressed a certain way, played covers note for note, instead of focusing on learning from the musicians from that era. But when you do, music can only go through a natural evolution. Since we are roughly the same age and we were both brought up with 2-Tone being a huge influence, I think it's only natural to seek out the originators and give them the credit they are due. So when I asked him if he felt like he was having an influence on the new generation of ska musicians, he said he felt a certain responsibility to pass on what he had learned from the older generation. This is really how a tradition is born. Parka Avenue: You did a few collaborations with some famous people. Any memorable ones? Chris Murray: I've been really fortunate. On the most recent release Yard Sale, they are two tracks with Lloyd Knibb, Lloyd Brevett and Cedric Brooks from The Skatalites. I had acted as road manager for a week and a half for The Skatalites in 1994, in California. I had seen them a few times before but that's when I met them. I got to know them, working with them as support crew. Then there was this opportunity where I basically hired Lloyd Knibb and Lloyd Brevett to do this session with me. We did two tracks and maybe a year later, the tracks were still not finished and I brought Cedric Brooks in to play on hooks. [...] That was really a great experience. Parka Avenue: Were they people you looked up to? Chris Murray: Oh! Of course. Of course. They're the icons of ska. For me, I really love when I hear that music now, now that I got to know the people. So when I hear someone playing, I know their personality and sometimes the clash of personalities within the group and little stories I heard that inform me of the overall vibe of it. You can’t fault the guy for not practicing what he preaches because later that evening, a great upcoming ska band called The Beatdown joined him on stage for a good part of his act. I found myself having chills listening to a few of the tunes. That’s a dead giveaway of how music moves me. Some of you might have missed a great Montreal show but it's not to late to grab his latest release Yard Sale. It certainly has the Parka Avenue stamp of approval. His new song Shades of the Same Color has been playing in my head in a continuous loop for the last few days. For a glimpse of last Thursday's performance in Montreal, have a look at one of my favorite songs, Ex Darlin'. Be informed of new posts via email!